Oral Hygiene is immensely important for the overall good health of a person. The harmful bacteria that find home inside the mouth in cavities can not only cause gum diseases and tooth decay but also many other ailments since whatever one eats has to get past the teeth and mouth. Good brushing habits help you maintain good oral health but brushing after every meal or at least brushing twice a day are not enough. The kind of tooth brush you are using greatly affects your oral health. Let’s talk about Oral B Precision. Oral B Toothbrushes have been known for their superior quality and innovative designs. The Oral B Pro Health Precision Clean Battery Tooth brush has also kept up with the excellent reputation Oral B products have maintained. The use of latest and improved technology ensures a consistent and steady battery performance. The tooth brush is easy to hold, non slip because of the ergonomic rubberized grip. The good thing is that you can use any of your personal favorite heads with this particular body. After brushing your teeth for the first time with the Oral B Precision you will feel the difference. Your mouth and teeth will feel much cleaner than you have ever felt before. The advanced bristles of the precision clean brush head efficiently clean away the plaque better than any other tooth brush. The bristles are not hard on the gums. By brushing your teeth twice a day with the Oral B Precision you are not only getting healthy plaque free teeth but healthier gums also. Your dentist will definitely tell you the difference once you go in after using this electric toothbrush for a while. You can also use other brush heads with the Oral B Precision though, only the Precision Clean brush head is included and you will have to purchase the other brush heads separately. You can use the Dual Clean toothbrush head if you prefer. The benefit of using the dual clean toothbrush is that you have two moveable heads working their cleaning action and you get twice the amount of cleaning in the same amount of time and with more precision. The reason why people don’t opt for Dual Clean Brush heads is that they feel too much going on in their mouths. You can also use the FlossAction and ProWhite brush heads. The oral B Precision also has a two minute timer so you will know how long you have brushed your teeth. This is a very good feature and ensures that you brush your teeth properly. The battery life is very good. The battery last for about two weeks initially if you are brushing twice a day. You can use rechargeable batteries and the batteries can be easily replaced; no rocker science involved. Though, some people find changing batteries a hassle. If you have an oral medical condition and undergoing treatment you better ask your dentist before using any new electric toothbrush especially a one that is battery operated. 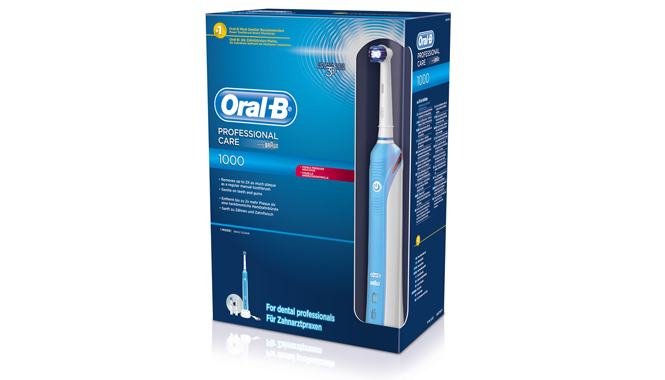 Oral B Precision is one of the best deals in this price range though you can get one with many more advanced features if spending more money on a tooth brush is not a problem.